FODS Trackout Control Mats is excited to be a part of the annual World of Concrete at the Las Vegas Convention Center in Las Vegas, January 22 to January 25, 2019. Begun in 1975, World of Concrete is the only international exhibition, featuring both indoor and outdoor exhibits. WOC features over eighteen hundred of the industry’s top suppliers presenting the latest state-of-the-art products and technologies in the construction industries. WOC also offers demonstrations and competitions in actual worksite conditions where products are put to the test. WOC also offers professional certificate educational programs. An expected 60,000 contractors will attend this year. Exhibitors include developers in construction machinery, construction equipment, safety training courses, new technologies, innovative tools and other latest products in the construction industry. FODS, LLC. will be on hand to showcase our Trackout Control Solution. FODS Trackout Control System is an innovative, reusable, durable, and highly effective alternative to traditional stabilized construction entrances. FODS construction mats eliminate the liability of rock from construction sites ending up in the roadway, and the waste of tons of riprap being sent to landfills at the conclusion of every project. FODS Trackout Control Mats work to eliminate airborne dust caused by vehicles passing over the construction exit while leaving the site. The Mud Stops Here! 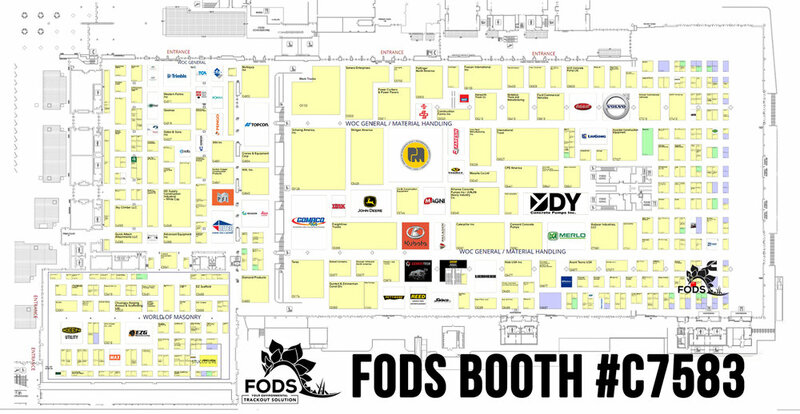 Come check out FODS Trackout Control Mats at World of Concrete booth number C7583 or visit us online at www.getfods.com.